There is a great deal of conflicting information on the internet and within the media as to whether an electric toothbrush can cause gum recession. In this article I am going to clear up the confusion with reasoned explanations for both sides of the argument. No, the electric toothbrush does not cause gum recession. It can exaggerate or accelerate recession, but this is as a result of user (human) error rather than the action of the brush. So that we are on the same page, gum recession is a condition whereby the gum lowers its position on the tooth, revealing or exposing the root of the tooth, which was once protected by the gum. The consequence of this is that the exposed root can be unsightly and sensitive. There are treatments available to help, which you should speak to your dentist about if you think you may be in need of them. Grinding your teeth or bruxism – Has your partner heard you grinding at night? One of the most common causes of gum recession is periodontal disease, better known as gum disease. Gum disease is the result of bacteria getting caught up along or under the gumline. This causes sore, inflamed gums which over time worsen to the advanced stages of gum disease and in turn accelerate the recession of gums. Thankfully in most cases, gingivitis (early gum disease) is completely reversible. At this early stage of gum disease the process to treat the condition is relatively simple, cheap and straightforward. In order to treat gingivitis and to stop gums bleeding, you need to remove the plaque and bacteria that are irritating the gums. This is done by improving your cleaning at home. Chochrane reviewed studies and found that an electric toothbrush can reduce plaque by 21% in 3 months and gingivitis by 11% in the same time period. If left untreated, gingivitis may develop into periodontitis, which is when the bone that holds the teeth in is also lost. Eventually the teeth will become loose and fall out. If clinical studies suggest an electric toothbrush improves gum disease, a common cause of gum recession, then how can it be that the same thing that is said to cure it, is actually also causing it?! Sensationalised headlines such as this from the Daily Mail would have you believe that the electric toothbrush is some sort of instant killer to your teeth. The reality is that it all comes down to user error and those who do use an electric toothbrush not doing so properly. There are a few ways in which people use the brush incorrectly, but the main issue is the act of brushing too hard and excessively. Brushing too hard, whether with a manual toothbrush, or an electric toothbrush, does cause damage to the delicate gum tissue, as well as wearing through the outermost surface of the tooth. People with tooth wear are often recommended to swap from a ,manual toothbrush to an electric toothbrush to help protect their teeth and gums from further wear. In my professional opinion I strongly recommend the use of an electric toothbrush over a manual and do not believe the electric toothbrush itself causes gum recession and only affects the gums if the patient presses too hard while using it, or moves it around too much while pressing hard at the same time. Therefore gum recession can be influenced only by HOW the patient uses the brush and not by the electric brush itself. If anything the electric toothbrushes can help with reducing the amount of recession occurring over time especially if it has a pressure sensor on it. 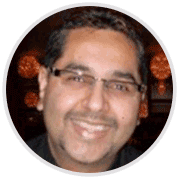 Dr. Deepak Songra – GDC Number: 68552 – Dentist and a member of the British Dental Veterinary Association. This excessive or aggressive brushing is another noted cause of gum recession, but the increased power and number of movements of the brush head on an electric toothbrush can accelerate and exaggerate the problem. Most of the time we are shown by our parents how to brush our teeth when we are kids — normally with a manual brush — and then the rest is up to us. The reality is that the technique for brushing our teeth is different with an electric toothbrush, but often we are not shown the correct way. What is the correct way to brush? Well even the professionals are divided on this according to Dr Peter Galgut. However there is a general consensus. An electric toothbrush need only skim the surface of the tooth and you do not need to move it around the mouth rapidly like you might with a manual brush. We have our own full guide on how to brush your teeth with an electric toothbrush, but the simplified version is that you gently move the brush head from tooth to tooth — the brush head does all the hard work. Many believe that brushing hard will help clean the teeth when in fact a much softer approach is necessary, the bristles should sweep over the surface, touching them just enough to brush away the plaque and debris. Therefore those instances whereby the recession has been brought on or increased is most often because the wrong technique has been used. I am not here to defend the electric toothbrush, I have no allegiances. However I am not the only one to say this. I agree that the recession element is related to the user, not the brush itself. An electric toothbrush is designed to be used without applying pressure, but if a user applies pressure this will inevitably lead to gingival recession. There are other dentists that have spoken about it in the past as well. Dr Mark Burhene of Ask the Dentist actually recommends using an electric toothbrush to prevent gum disease. 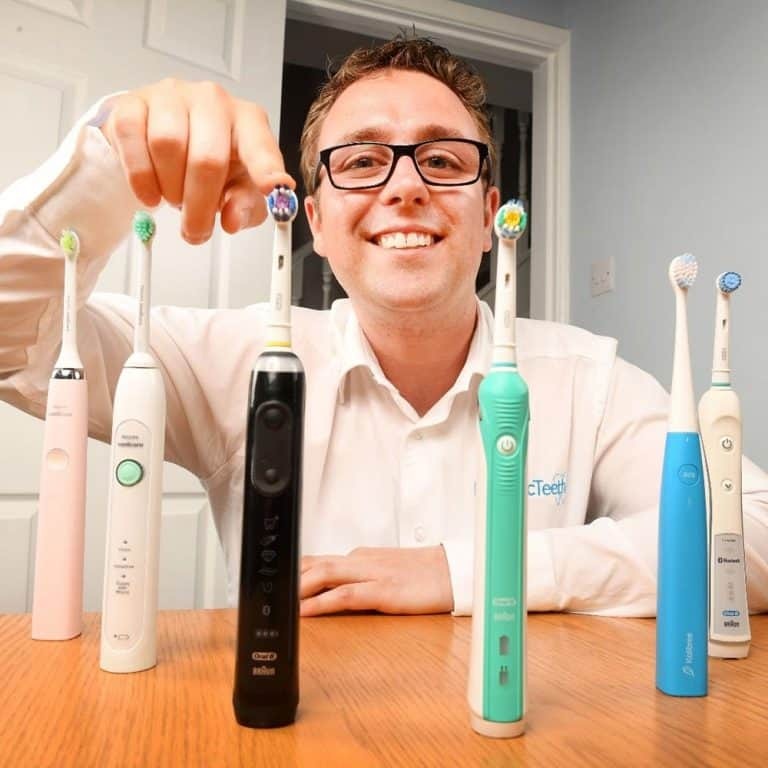 ‘I like them, if used correctly’ are the words of Dr Benjamin Young who also points out on his website that there is a bit more to it than just the electric toothbrush, but does suggest if someone has caused trauma to their gums, it is often easier to direct them to an electric toothbrush over attempting to modify their current technique. The RDH even lists this as a misconception of electric toothbrushes. With the over application of pressure being a cause of recession, some modern electric brushes have pressure sensors built in that will alert users when they are brushing too hard. You can see a list of such brushes in our guide to the best electric toothbrushes for receding gums & sensitive teeth. Also available for most brands of electric toothbrush are different brush heads, particularly sensitive heads, that are made from softer bristles, not to mention the specialised cleaning modes that reduce the power delivered from the brush motor to the teeth. Interestingly the RDH also highlights how less force is needed to effectively remove plaque than with a manual toothbrush, with powered brushes being in the 80-190 g/f range compared to the 250 g/f of a manual brush. Many studies are conducted over short periods of time, but Interplak conducted a 12 month trial which confirmed the bristles on a power brush to be as gentle as those on a manual brush. In yet another study in 2014, Rosema NA concluded that lower post-brushing gingival abrasion levels were seen in the power group. The evidence is stacking up for the electric brush and there is little evidence to suggest gum recession is caused by the electric toothbrush. Even those like the Frugal Nurse have noticed gum recession, but admit it is as a result of poor technique. Whilst Sonicare models offer up to some 31,000 strokes per minute (62,000 movements) and Oral-B brushes rotating at up to 40,000 movements per minute, there is a lot of repetitive movements that can potentially wear the gum line when used incorrectly. These movements and power from the brush handle can do damage if used incorrectly, but incorrect use is the only reason behind the claims of brushes damaging the teeth and gums. So there you have it, electric toothbrushes actually improve gum problems, if used correctly. Thank you for your insightful page. I have been using a sonicare for around 6 years. 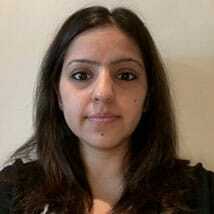 I have good oral health, eg, no fillings. However, I do have gum recession. I do not apply pressure, I know as I never have splayed bristles (unlike my husband! ), but I do move the brush around. After reading your post, I will endeavour to hover over each tooth, allowing the brush to do the moving. Fingers crossed this is the solution to my gum recession. i sure wish electric toothbrush companies were required to let us know that brushing too hard with these brushes can cause damage. now i have permanent problems that could have been easily prevented. how was i supposed to know? I cannot speak on behalf of all electric toothbrush companies, but most will give guidance on how to brush in the instruction manual. Are you sure your gum recession issues have been caused by an electric toothbrush? In many cases, if you get regular dental checkups the dentist will notice the recession and help determine what is causing it. I heard there is a new reasearch which says using electric brush causes oral cancer..
Can you please provide some information on that if you have ? I have been reading about use of electric brush. There are many people who are gettig gum recession and sensitive tooth by using electric brush. I have been using it for 6 months now but I am confused about continuing using it. Thanks for the comments. I have not seen or read anything to suggest the use of an electric toothbrush is linked to Oral Cancer. Where have you seen this information. I am not a dentist or doctor and have no medical grounds on which to make comment on this but I do not see how a toothbrush can cause cancer. I suspect that those getting gum recession as a result of using an electric toothbrush are brushing for too long, with too much force and the incorrect technique. Teeth and gums brushed with an electric toothbrush in the correct way should be in no worse state than those brushed with a manual. For peace of mind you may wish to speak to your dentist, so that you can get a professional opinion based on your mouth and teeth. Which Electric Toothbrushes Have a Pressure Sensor?